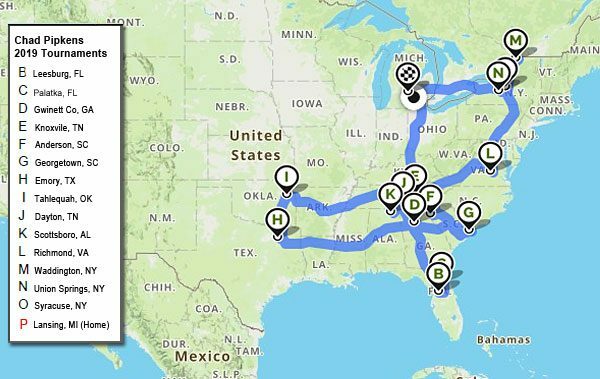 Chad Pipkens’ schedule of upcoming tournaments, appearances, seminars and events including a map of his Elite Series travels. This page will show Chad’s next 10 upcoming events. Click on an event for a popup containing more details. You can also view and scroll the interactive ChadPipkens.com calendar here to find all events by a particular week or month.